Having proved itself with comets, AutoNav is ready for new challenges: moons, planets, asteroids . wherever NASA needs an improbable bulls-eye. Dr. Marc Rayman, project manager for Deep Space 1, describes the validation performance of AutoNav in his mission log at here (also check mrlog24.html and the two following). 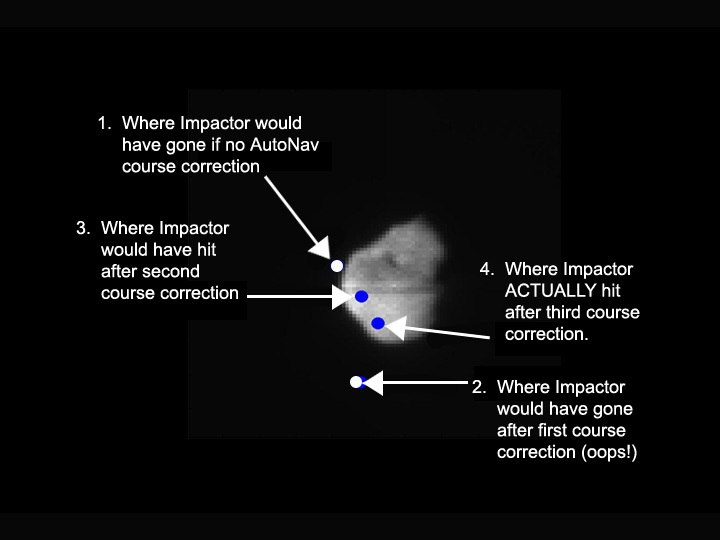 Also, for junior astronomers, the Deep Impact mission is described at here.